Adler, H. G. , ‘Ideas toward a Sociology of the concentration camp’, The American Journal of Sociology LXIII No. 5 (1958), 513-522. Adorno, Theodor and Max Horkheimer, Dialectic of Enlightenment (London: Verso 1989). Arad, Yitzhak, Israel Gutman and Margaliot, Abraham (eds. ), Documents on the Holocaust: selected sources on the destruction of the Jews of Germany and Austria, Poland, and the Soviet Union (Lincoln, NE. : University of Nebraska Press, 1999). Arendt, Hannah, Eichmann in Jerusalem: A Report on the Banality of Evil (London: Penguin, 1977). Arendt, Hannah, Origins of Totalitarianism (Cleveland and New York: Meridian Books, 1962). Bartov, Omer Murder in our Midst: The Holocaust, Industrial Killing, and Representation (New York: Oxford University Press, 1996). Bartov, Omer, Holocaust: Origins, Implementation, Aftermath (London and New York: Routledge, 2000). Bauer, Yehuda, Rethinking the Holocaust (Yale University Press,2002). Bauman, Zygmunt, Modernity and Ambivalence (Cambridge: Polity, 1991). Bauman, Zygmunt, Modernity and the Holocaust (Cambridge: Polity, 1991). Bauman, Zygmunt, The Bauman Reader, ed. Peter Beilharz (Oxford: Blackwell, 2001). Beller, Steven, Antisemitism: A Very Short introduction (Oxford: Oxford University Press 2007). Berenbaum, Michael, The World Must Know: The History of the Holocaust As Told in the United States Holocaust Memorial Museum(Little Brown & Company, 1993). Bernstein, Richard, Hannah Arendt and the Jewish Question (Cambridge: Polity Press, 1996). Bloxham, Donald, Genocide on Trial: War Crimes Trials and the Formation of Holocaust History and Memory (Oxford and New York: Oxford University Press, 2001). Browning, Christopher, Ordinary Men: Reserve Police Battalion 101 and the Final Solution in Poland (HarperCollins 1992). Browning, Christopher, The Path to Genocide: Essays on Launching the Final Solution (Cambridge: Cambridge University Press, 1992). Canovan, Margaret, Hannah Arendt: A Reinterpretation of her Political Thought (Cambridge: Cambridge University Press, 1992). Dawidowicz, Lucy, The War Against the Jews (New York: Holt, Rinehart and Winston, 1995). Douglas, Lawrence, The Memory of Judgment: Making Law and History in the Trials of the Holocaust (Yale: Yale University Press, 2001). Evans, Richard J., Lying about Hitler: History, Holocaust and the David Irving Trial (New York: Basics Books, 2001). Feldman, Gerald D., Networks of Nazi Persecution: Bureaucracy, Business, and the Organization of the Holocaust (New York and Oxford: Berghahn Books, 2005). Fine, Robert and Turner, Charles (eds), Social Theory after the Holocaust (Liverpool: Liverpool University Press, 2000). Friedlaender, Saul, Memory, History and the Extermination of the Jews of Europe (Bloomington, IN: Indiana University Press, 1993). Gilbert, Martin, Atlas of the Holocaust (William Morrow & Company, 1993). Gilbert, Martin, Auschwitz and the Allies (New York: Holt, Reinhart and Winston 1981). Gilbert, Martin, The Boys (Douglas & McIntyre, 1996). Gilbert, Martin, The Holocaust (Henry Holt and Company, New York, 1985). Glass, James M., Jewish Resistance during the Holocaust: Moral Uses of Violence and Will (Basingstoke: Palgrave Macmillan, 2004). Gutman, Israel, Encyclopedia of the Holocaust, Vols. 1 & 2 (MacMillan Library Reference, 1995). Herf, Jeffrey, Reactionary Modernism: Technology Culture and Politics in Weimar and the Third Reich (Cambridge: Cambridge University Press, 1984). Herzstein, Robert Edwin, Waldheim: The Missing Years (Paragon House, 1989). Hilberg Raul (ed. ), Documents of Destruction: Germany and Jewry 1933-1945 (Quadrangle Books, Chicago, 1971). Hilberg, Raul, Perpetrators, Victims, Bystanders (New York: HarperCollins, 1992). Hilberg, Raul, The Destruction of the European Jews (New York: Holmes and Meier, 1983), 3 vols. Hilberg, Raul, The Destruction of the European Jews (Revised Edition New York, 1985). Hochstadt, Steve, Sources of the Holocaust (Basingstoke: Palgrave Macmillan, 2004). Jaspers, Karl, The Question of German Guilt (New York: Capricorn Books, 1961). Katz, Steven, The Holocaust in Historical Context, Vol. 1 (New York: Oxford University Press, 1994). Königseder, Angelika and Juliane Wetzel, Waiting for Hope: Jewish Displaced Persons in Post-World War II Germany (Evanston, IL., Northwestern University Press, 2001). Kushner, Tony, The Holocaust and the Liberal Imagination: A Social and Cultural History (Oxford: Blackwell, 1994). LaCapra, Dominick, History and Memory after Auschwitz (New York: Cornell University Press 1998). Lang, Berel, Post-Holocaust, Interpretation, Misinterpretation, and the Claims of History (Bloomington: Indiana University Press, 2005). Levi, Primo, The Drowned and the Saved (London: Abacus, 1986). Lipstadt, Deborah, Denying the Holocaust: the Growing Assault on Truth and Memory (New York: Plume, 1994). Michman, Dan, Holocaust Historiography: A Jewish Perspective; Conceptualizations, Terminology, Approaches and Fundamental Issues (London: Valentine Mitchell, 2003). N Finkelstein and R Birn, A Nation on Trial: The Goldhagen Thesis and Historical Truth (New York: Henry Holt and Co., 1998). Novick, Peter, The Holocaust and Collective Memory: The American Experience (London: Bloomsbury1999). Novick, Peter, The Holocaust in American Life. 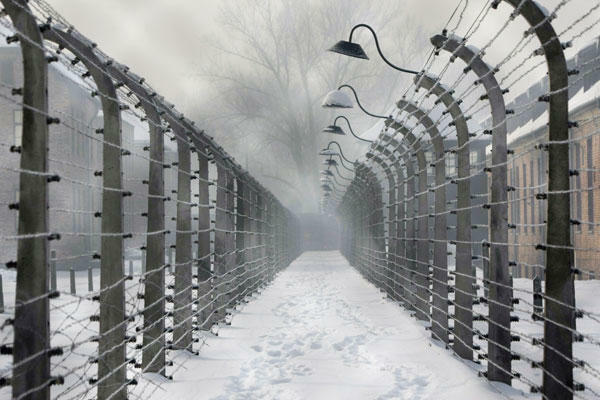 The Holocaust and Collective Memory: the American Experience (London: Bloomsbury, 2000). Pendas, Devin O., The Frankfurt Auschwitz Trial, 1963-1965: Genocide, History and the Limits of the Law (Cambridge and New York: Cambridge University Press, 2006). Rabinbach, Anson, In the Shadow of Catastrophe: German Intellectuals between Apocalypse and Enlightenment (Berkeley and Los Angeles: University of California Press, 1997). Rose, Paul Lawrence, Revolutionary Antisemitism in Germany: From Kant to Wagner (Princeton: Princeton University Press 1990). Rozett, Robert, Approaching the Holocaust: Texts and Contexts (London: Vallentine Mitchell, 2005). Segev, Tom, Soldiers of Evil: The Commandants of the Nazi Concentration Camps (Domino Press, Jerusalem, 1987). Sofsky, Wolfgang, The Order of Terror: the Concentration Camp, trans. William Templer (Princeton: Princeton University Press, 1977). Steinberg, Lucien, Not as a Lamb: The Jews Against Hitler (London: Saxon House, 1974). Stone, Dan (ed. ), The Historiography of the Holocaust (Basingstoke, Hampshire, Palgrave Macmillan, 2004). Struk, Janina, Photographing the Holocaust: Interpretations of the Evidence (London: I. B. Tauris in association with EJPS, 2003). USHMM (United States Holocaust Memorial Museum), Historical Atlas of the Holocaust: The United States Holocaust Memorial Museum (MacMillan Publishing Company, 1995). Villa, Dana, Politics, Philosophy, Terror: Essays on the thought of Hannah Arendt (Princeton: Princeton University Press, 1999). Wiesel, Elie, Night (London: Penguin 1981). Yahil, Leni, The Holocaust (Oxford and New York: Oxford University Press,1990). Young, James, The Texture of Memory: Holocaust Memorials and Their Meaning (New Haven, CT: Yale University Press, 1993). Zelkowicz, Josef, and Michal Unger, In those Terrible Days: Writings from the Lodz Ghetto (Jerusalem: Yad Vashem, 2002).